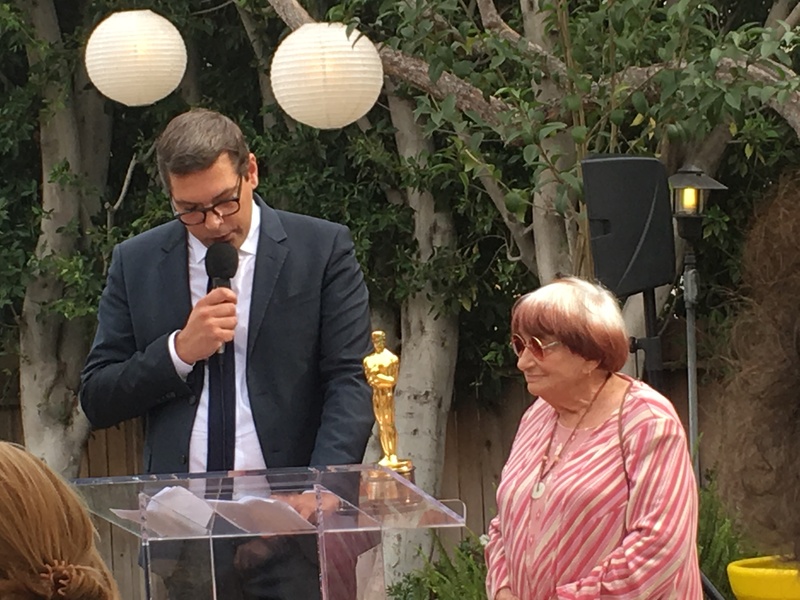 I thought I would share this photo with you that I took today at the French Consul’s Residence in Los Angeles. 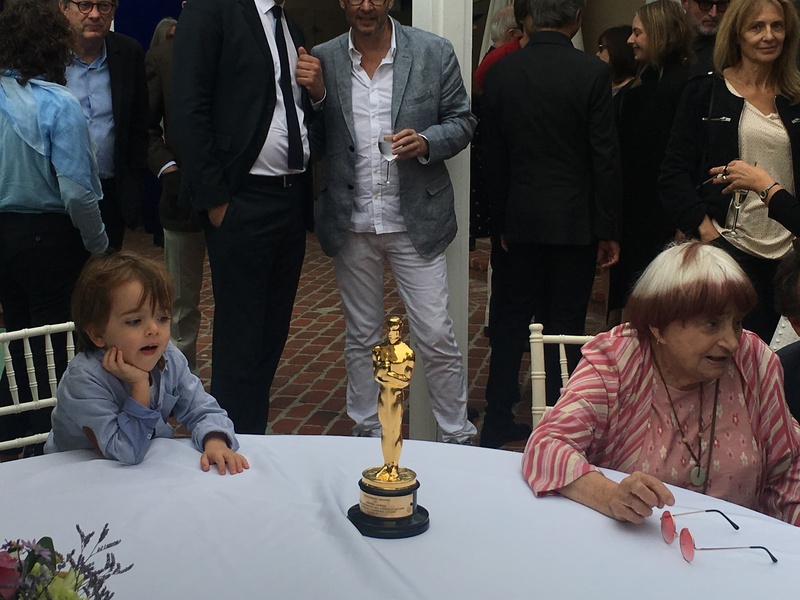 The photo of the little boy eyeing the beautiful Oscar statue as the recipient, brilliant filmmaker, Agnes Varda converses, warms my heart. This weekend was filled with wonderful moments and memories that will last a lifetime. I love the month of November. The city of Los Angeles transforms into cinema heaven as filmmakers from all over crowd their schedules to watch as many films as possible until the end of January in hopes of being inspired.